In one of those coincidences that occasionally crop up, one of my Gallic colleagues texted me as I was putting together the write up for the Matugga, and asked me what I thought of it. “Mediocre,” was the terse response, given the comparators I had on hand that day against which I was rating it, and the almost finished review – but in retrospect that was perhaps too dismissive, since it’s not entirely a bad rum, and both the good and the bad should be acknowledged, in spite of the hyped marketing message. In this case the selling and marketing point is the rum’s origin – East Africa, Uganda to be exact, and that sure works, because it’s entirely on that basis that I bought it (Zulu Impi is another). This is a rum like, oh, Lost Spirits or Seven Fathoms – made by a small outfit led by one person with some drive and gumption. Considered objectively and dispassionately it’s a company that, like those other two, takes an unusual, original detail about the rum’s production, and tries to develop that into an entire marketing plan, without really finishing the job of making it a really good one, even a really good young one. Anyway, the molasses is sourced from a small town in Uganda called Matugga – forget the blurb on the company website about the quality of cane or soil – and fermented in the UK for seven days (rather a long time) before being distilled in a copper pot still and then aged in English oak, though nowhere is it stated exactly how long. For the record I suspect around 2-3 years max. That age is probably about right. The nose of the 42% Matugga certainly gave no indication that decades of careful maturation were behind it. In fact, my first reaction was a grimace and a “yeccch”. Rank notes of rubber, cardboard, rotting vegetable were first, followed by others of musky and damp old houses with too many cats in it. But fortunately these sensations were fleeting, and nose changed after opening up, moving to more dominant smells honey and acetone, richer fruits, banana and treacle, maybe half a crème brûlée. 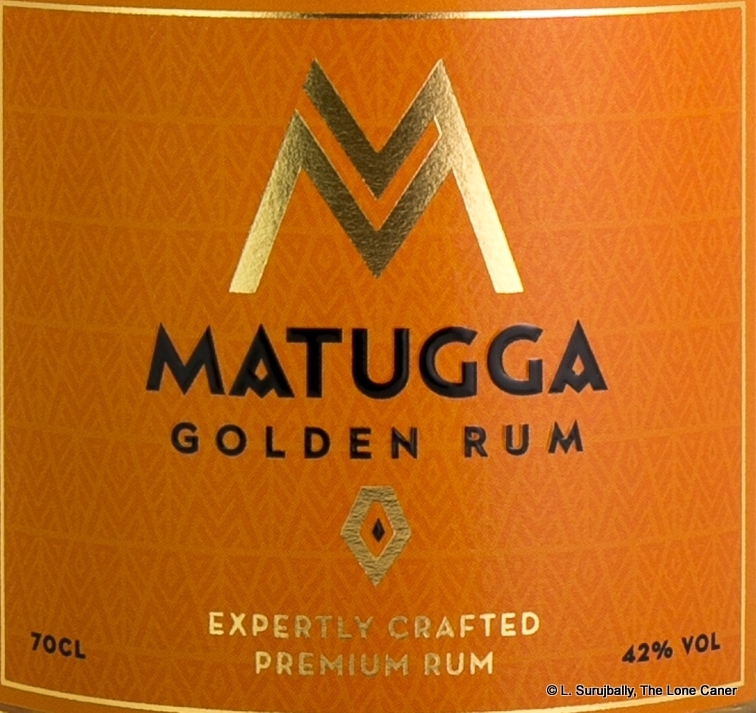 Quite an about face, and after walking around with it, I thought it was like a young, untamed and rather rambunctious Jamaican rum, more than anything else — not nearly as well made, but not to be dismissed out of hand either. On the palate, the orange-gold was not that stellar, though certainly interesting: thick and oily, almost cloying…and then a sharp skewer of black pepper and pimentos without the heat kicked in. Again, just as with the nose, it did a ninety degree turn and became another rum altogether, more traditional. The main players emerged on stage – caramel, vanilla, some sugar water (this and the vanilla became particularly pronounced after a while), papayas, pears and white guavas. Underneath it all was a weird kind of bitterness of raw cocoa beans that accentuated what was already a rather jagged and inconsistent profile, one moment sweet, fruity and almost cloying, the next sharp, bitchy, peppery and out to get me. And it finished quickly and without fanfare, giving up final hints of nuts, molasses, caramel and vanilla, standard stuff, no points here. So no, some interesting notes and originality acknowledged, the rum doesn’t really gel. It has potential, sure, but so far as the profile is concerned, it’s somewhat incoherent, more than a little unbalanced, not well integrated and perhaps not even sure what it wants to be — a Jamaican funk bomb, or an easier, soothing rum made for mass consumption and to bolster sales before the really good aged stuff comes out the door. Plus those additives, whatever they are, are an annoying and pointless distraction. Why didn’t they just have the guts to take the subtle notes of an East African terroire, run with it and make a case for its uniqueness, for a rum having a profile of neither arrack or molasses or agricole but a new and untried melange of them all? Their lack of courage in standing by the inherent qualities of their own product is a depressing commentary on both what the rum is, and what it might have been. When I started doing my research, I was unsurprised to discover 37g/L sugar on the hydrometer tests. 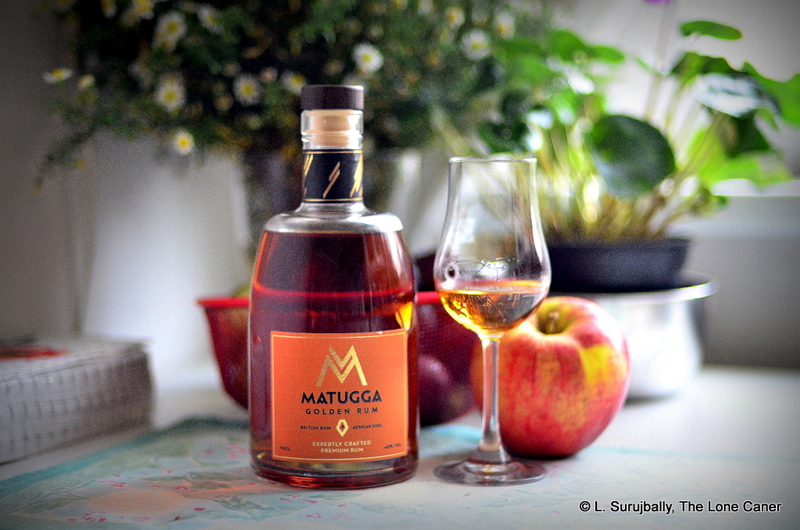 In this case, I believe that less sugar and more ageing would do wonders for the rum. Evidently, the makers thought the opposite.